With the band’s debut live appearance coming up at Blastfest in February, it was announced today that Tybalt (FORTID, ETHEREAL FOREST, DEN SAAKALDTE, ex- HEATHEN DEITY, ex-PANTHEON I) will be joining THE 3rd ATTEMPT on drums. Tybalt originally came on board as a session drummer for the Blastfest appearance, but after taking part in rehearsals, it was decided that he would join the band on a full-time basis. Formed last year by former CARPATHIAN FOREST guitarists Tchort (GREEN CARNATION, ex-CARPATHIAN FOREST, ex EMPEROR, ex BLOOD RED THRONE) and BloodPervertor (ex-CARPATHIAN FOREST, APOSTASY, ex NEONGOD), THE 3rd ATTEMPT also recently announced their new frontman, former MIDNATTSVREDE and NECROCAVE vocalist Kaahrl Ødemark, who was selected following online auditions that drew in submissions from applicants from all over the world. The decision by the two guitarists to leave CARPATHIAN FOREST came as a shock to many fans, who had seen the recent re-emergence one of Black Metal’s most iconic bands on the live circuit as a sign of things to come. But, as Tchort recently explained, the desire of the two musicians to explore new horizons and work within an environment that re-ignited the creativity and enthusiasm that they no longer felt within the confines of their former band, made it clear to them that it would be better for everyone, including CARPATHIAN FOREST who would benefit from an injection of new blood, if they were to forge a new path for themselves. 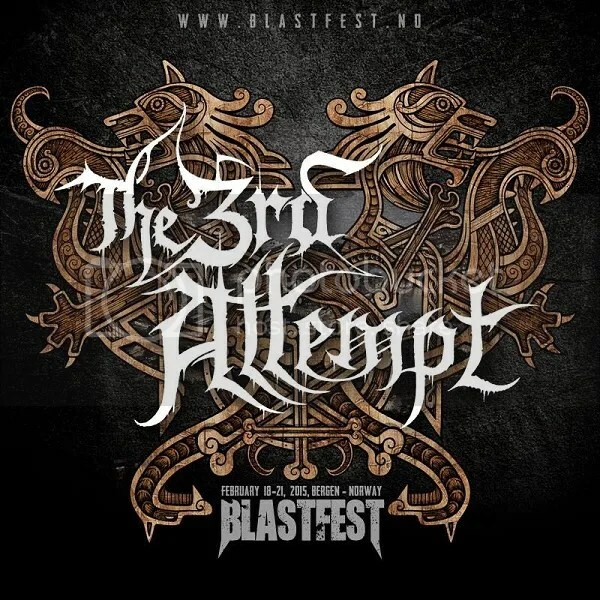 The band’s appearance at Blastfest, in Bergen, Norway, will take place on the 18th February on board the boat “Showline” which will take fans on a 5 hour cruise of Bergen’s spectacular fjord, and which kicks off the 4 day festival.